Who doesn't wear skinny jeans? 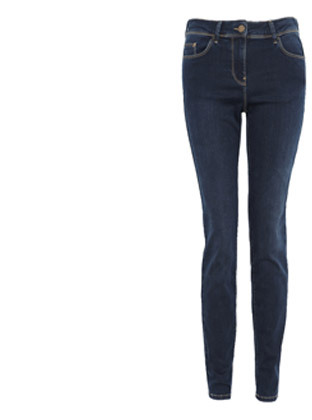 These tight fitting jeans that snuggle perfectly around your legs will never go out of style. What’s good about these jeans is that you can match them with almost anything—shirt, blouse, dress, or even just a plain tank top. Katy Winter from the Daily Mail said that M&S’s Sculpt and Lift jeans has design features that flatters women’s figures effortlessly. “The design features a back stitching which claims to enhance the bottom for a better shape, while clever pocket placement gives the illusion of more pertness,” she said. Typically designed as slim through the waist and hip with a slightly flared hem, these jeans are perfect for curvy women. 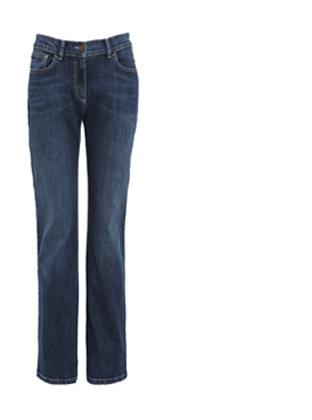 Although these are big during the 70s, denim bell-bottoms always make a comeback every now and then. And why not? Because they balance and accentuate a woman’s figure to give it a fuller look. However, it is important to choose the right length, size, and flow for a pair of a slim boot jeans to perfectly fit. Also, getting a pair of shoes that will accentuate the size of your boot cut jeans' hem can make you look slimmer. These jeans are normally cut above the ankle. 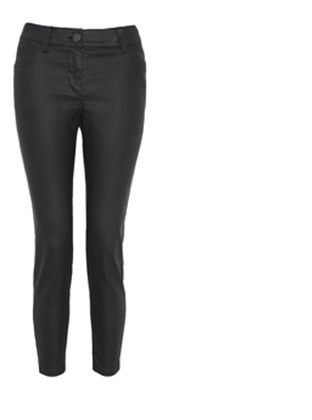 Originally made famous by Audrey Hepburn, ankle grazers are now worn by fashion trendsetters like Kate Moss. Ankle grazers are always on-trend and fashionable especially with high heels and silk blouse for a chic and casual look. To add more sizzle and tinkle to your ankle grazers, wear a bunch of anklets on one leg to give yourself an asymmetrically fabulous look.